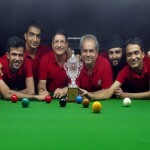 The Keki Kotwal Open Snooker Tournament and Carnival for Members will be held in the coming months. Kindly check the Notice Boards for further details. 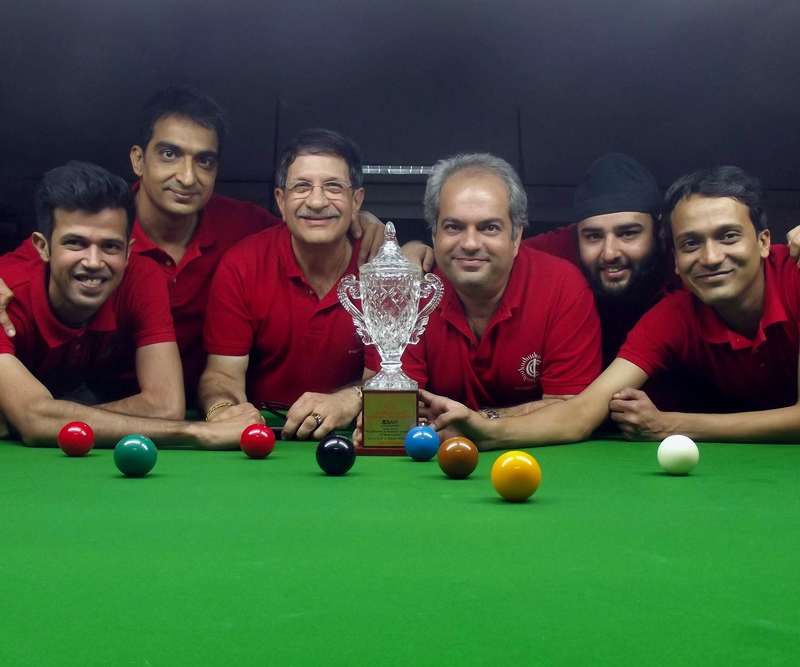 Former champions CCI Snooker Kings overcame Toofani Boys in a 3-2 thriller to regain the title, in the PJ Hindu Gymkhana Sir Wilson Jones BSAM Mumbai Snooker League. Snooker Kings, winners in 2012, rallied from a 1-2 deficit in an eventful championship round that had its fair share of pulsating moments. Sanjay Jhaveri, the hero of PJ Hindu Gymkhana Toofani Boys in the previous two rounds, once again rose to the occasion when he shocked current state No. 2 Hasan Badami to give the final an explosive start. As the balls rolled in his favour, Jhaveri, enjoying a handicap of +40, made the most of the opportunities that came his way and snatched the opener in just three visits. With a reputation to protect, Snooker Kings were under early pressure. But captain Behari Bajaj and Satbir Narula, trailing by 22 points at 76-94, set the ball rolling for an absorbing contest ahead when they wriggled out of difficult snookers to clinch the tight doubles tie 101-94 in a nail-biting black ball finish, after Narula initiated a spectacular clearance from the green for a decisive, unfinished break of 25. Enjoying a +45 handicap, Devang Jariwala threatened to change the script when he regained the lead for Toofani Boys with a shock 82-81 win over Siddharth Parikh in another thriller that set the stage for a humdinger. Wth a handicap of +5, Parikh dominated the third singles tie right through with a break of 34 and a breathtaking demonstration of snookers, positioning and potting that included two red cannons and a long green. But Jariwala, at the receiving end while trailing 64-81, also demonstrated how the vagaries of handicap snooker can be a great leveller when he stealthily returned to pot the blue, pink and black in a stunning finish that left the much accomplished Parikh bewildered. More excitement was in store in the crucial fourth singles, as Jhaveri faced Badami again and was ahead 79-44 with two reds and the colours remaining. Badami fluked the first red and was on course until a break of 25 ended prematurely after he missed the pink. The moment of glory for Toofani Boys and Jhaveri had arrived as the pink rested at the mouth of the top right pocket. But Jhaveri’s effort on the pink rattled the jaw, and with that the home side’s fortunes changed as Badami snatched another nail-biter at 82-79 on the black to force the decider where Siddharth Parikh had another opportunity to avenge his defeat against Jariwala. The seasoned Parikh made no mistake this time as he once again dominated the fifth and final frame that included a decisive break of 59, to ensure CCI were Mumbai’s snooker kings. Results: Final: CCI Snooker Kings bt PJ Hindu Gym Toofani Boys 3-2 (Hasan Badami lost to Sanjay Jhaveri 32-96; Behari Bajaj/Satbir Narula bt Shyam Kotak/Kirit Raiyaani 101-94; Siddharth Parikh lost to Devang Jariwala 81-82; Hasan Badami bt Sanjay Jhaveri 82-79; Siddharth Parikh bt Devang Jariwala 107-54).